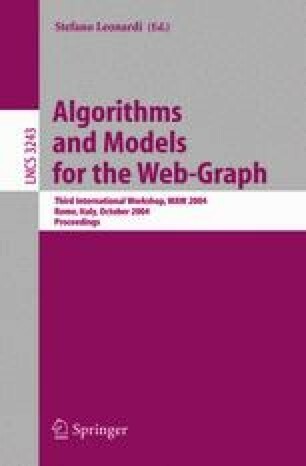 In this paper we study the size of generalised dominating sets in two graph processes which are widely used to model aspects of the world-wide web. On the one hand, we show that graphs generated this way have fairly large dominating sets (i.e. linear in the size of the graph). On the other hand, we present efficient strategies to construct small dominating sets. The algorithmic results represent an application of a particular analysis technique which can be used to characterise the asymptotic behaviour of a number of dynamic processes related to the web. The first two authors were partially supported by a Royal Society Grant under the European Science Exchange Programme.